I feel as though I should write a post about the entire California trip, but I don't think I could handle writing about the entire trip knowing that it ENDED with the most exciting thing... Terry proposed! So, I'm going to write about that first and then maybe I'll get around to another post later about the rest of the trip . We were so busy throughout the entire trip with family that we did not have any alone time until Monday afternoon (the day before we left). 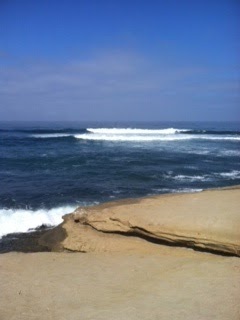 We decided to drive up to La Jolla beach.. which happens to be my favorite part of San Diego. 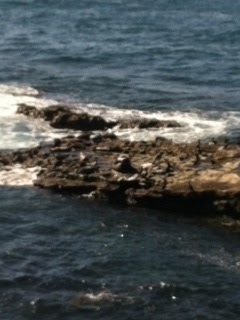 This is where the seals hang out on the cove. I could sit there and watch them for hours. It's also just a very nice area with many shops and restaurants. We went to a small shop, "Lean and Green", that I had found online. We got yummy protein smoothies and finally just sat down and relaxed together instead of the constant go-go-go. 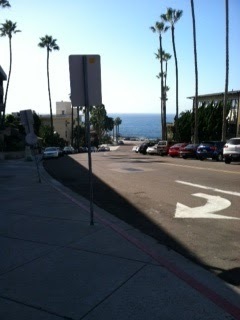 I don't know how many times I said "I love La Jolla". However, we only got to spend about an hour here until it was time to go meet up with more family for dinner. So, we decided to wake up early on Tuesday (the day of our flight out of San Diego) and go have breakfast in La Jolla and walk along the beach one last time before going to the airport. It was perfect since the airport was only about a five minute drive from La Jolla so we thought it'd be nice to leave right away in the morning so that my uncle (who we were staying with) could get to work on time. We had breakfast at The Cottage. It was so yummy! 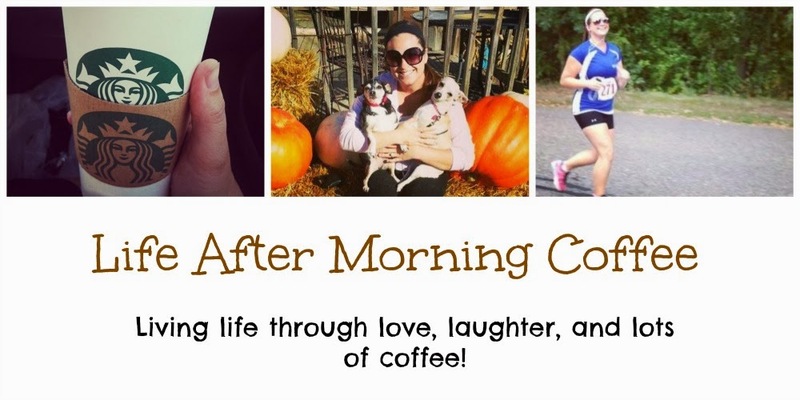 I had eggs with veggies, a pumpkin muffin, and coffee. Terry enjoyed some tasty looking french toast. 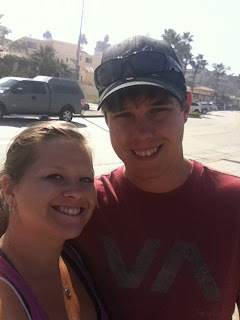 After finishing up with breakfast, we headed down to the cove for our last walk on the beach. 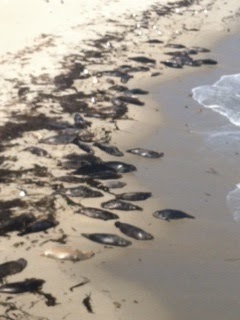 Today, the seals were all laying on the beach. They were so cute and fun to watch! We must have sat there for half an hour, just watching them and pointing "Oo look at that one! ", "Oh, that one just rolled over! ", "Oh, here comes another one!". We noticed the time and decided it was time to get in the car and head to the airport. 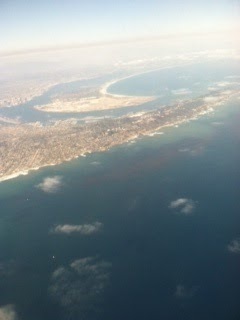 I started taking pictures of the ocean for a "farewell, Pacific" Facebook post (that I never got around to posting). After saying "oh my gosh" a million times and yelling at Terry for buying a ring when we're in the process of buying a house, I finally yelled "WAIT! Did you ask my dad?!".. When Terry said yes, all I could spit out was.. "And he said yes???" (If anyone knows my dad.. you know why I was surprised). Sure enough, my dad gave him a hard time but eventually gave his blessings to Terry. After still standing there, Terry finally asks "Are you going to say yes?" And I said "YES!" 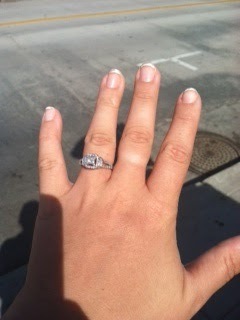 The ring was PERFECT. He picked it out all by himself and I couldn't be more happy with the outcome! 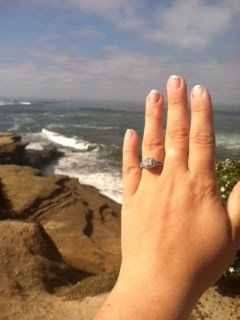 Also, what a beautiful place to get engaged at?! Ahhhh, La Jolla. I look forward to many anniversary vacations to you in the future.. 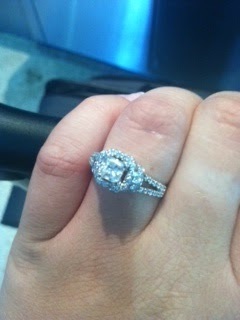 Going through security at the airport was really difficult because I couldn't stop looking down at my gorgeous ring and wanting to call EVERYONE! 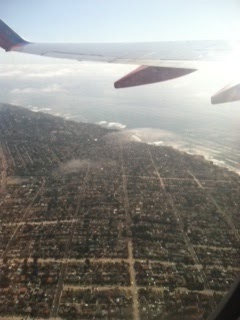 :) But, it was time to get on the plane and say goodbye to San Diego..